GV Prakash is currently awaiting the release of his films ‘Kuppathu Raja’ and ‘Watchman’. The star is also working as the music director for Dhanush – Vetrimaran’s ‘Asuran’. Meanwhile, here’s a breaking update on his next. His next film with Vijay’s ‘Thulladha Manamum Thullum’ director Ezhil goes on floors from today (3rd April). The movie stars GV Prakash and Eesha Rebba in lead roles. The rest of the cast and crew haven’t been revealed yet. 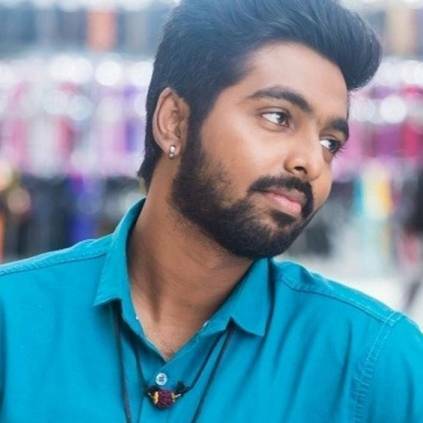 GV Prakash’s ‘Kuppathu Raja’ stars himself along with Parthiban, Poonam Bajwa and Palak Lalwani in pivotal roles, and is directed by Baba Baskar. The film is all set to hit the screens on the 5th of April. On the other hand, his ‘Watchman’ is directed by A.L.Vijay and stars himself along with Suman and Raj Arun. The movie is gearing up for a release on April 12th, exactly a week after ‘Kuppathu Raja’. With back-to-back releases and a lot of movies in his kitty, GVP is indeed a busy man. A WHOPPING 105 FILMS EXPECTED TO RELEASE IN THE REMAINING OF 2018! SIVAKARTHIKEYAN’S NEXT FILM RELEASE POSTPONED! cinemameter.in	| Theme: News Portal by Mystery Themes.